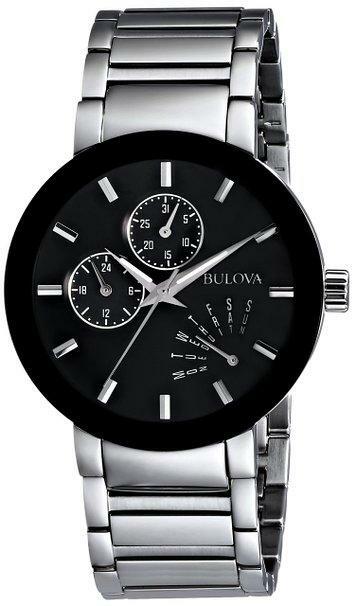 Bulova Mens Ultra Slim Black Leather Strap Watch 98A167. 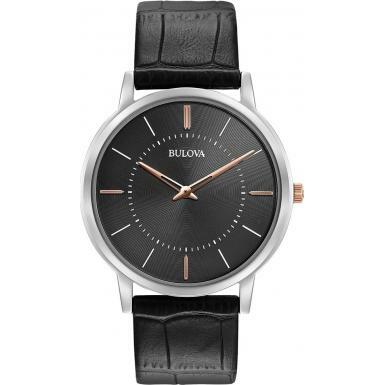 Black leather strap is finished with a stylish buckle. 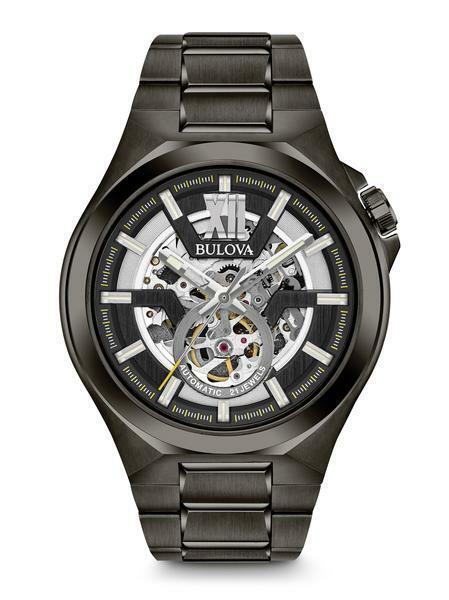 A black analogue watch face is brought to life with hints of rose gold and silver in the dials and hour makers. 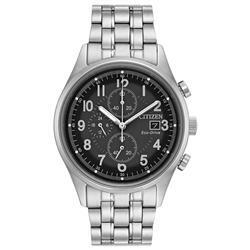 A 40mm silver head casing encloses the dial face. Three year limited warranty.